KidsArt! Gift Box (Please order separately) - KidsArt! NB: PLEASE COMPLETE A SEPARATE ORDER FOR GIFT BOXES TO OBTAIN THE CORRECT DELIVERY COSTS. KidsArt! 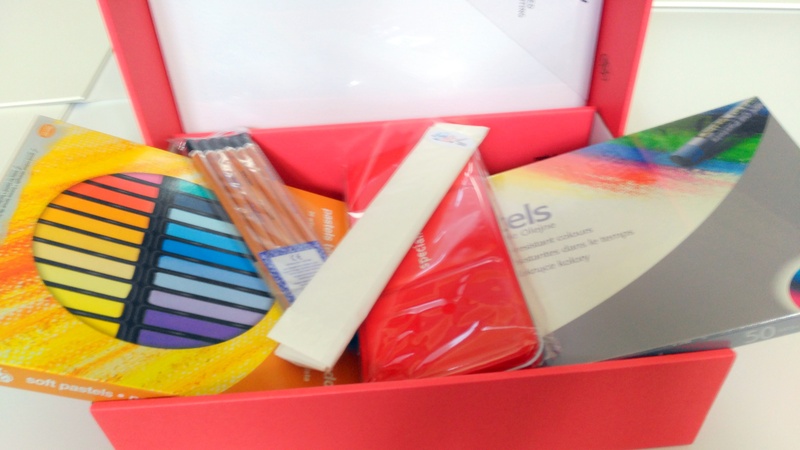 Gift Box contains: 50 Pentel oil pastels, 36 Reeves soft pastels, 24 watercolours pan set, A4 laminated sketchbook, canvas (just over A4 size), set of assorted sketch pencils and 2 paintbrushes of different sizes, all in an attractive red gift box.